I just read this article on Risus Monkey. It's about a solo game the author played on a flight, and it's pretty interesting. 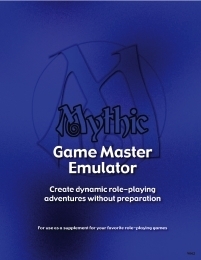 The best part is that it pointed to the Mythic GME (that's Game Master Emulator). Yep, it's a system at least partially designed to eliminate the very need for the GM. I'm usually the GM around here, and I don't want to lose my "job." But if you're a GM with an itch to see the other side of the screen and nobody wants to take up the task, this might be the product for you. I just purchased it and I'm reading it right now (or at least, I will be when I finish writing this). The best part is that there's a bit of irony here. 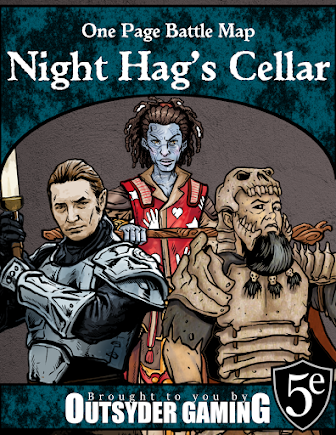 On DriveThruRPG, this "replace your GM" product is on sale. Why is it on sale? To celebrate GM's day, that's why! The little GM's Day advertisement even says, "With no GM, there's no game!" It really isn't that funny, but for some reason, I'm really amused. Go check this product out. It's only five bucks. Seriously... go check it out.